High court Judge Mwila Chitabo S.C has refused to grant leave to 10 UPND cadres who were arrested in Livingstone for arson to apply for habeas corpus. A Habeas corpus is a writ requiring a person under arrest to be brought before a judge or into court, especially to secure the person’s release unless lawful grounds are shown for their detention. Judge Chitabo says this is because the request being made was not a fit and proper case to grant leave to the Applicants to apply for habeas corpus.In this matter Chileshe Mulenga, Mainza Choongo, Leys Chitoma, and James Hambulo wanted the court to intervene claiming that the police have detained them without a charge. 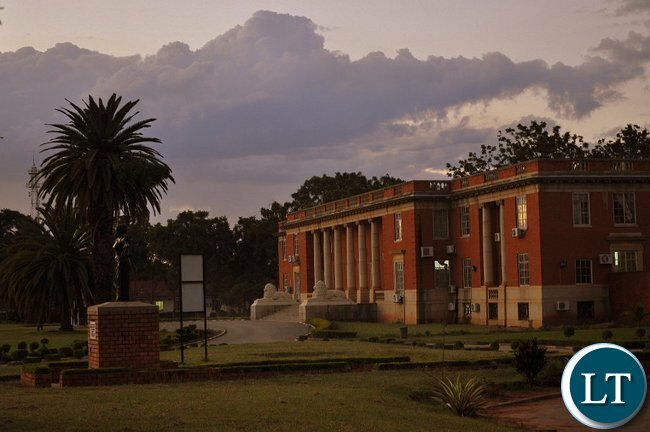 Others are Wonder Nakazuka, Kahyata Zhyimga, Biggie Mubambe, Justin Mutonga, David Ndumba and Amon Mweemba.In this matter, the applicants had argued that efforts to secure police bond proved futile as the they have not been charged of any known offence. But the state argued to the contrary saying the suspects have been charged with the offences of Arson and being in possession of dangerous weapons.The Judge noted that the applicants lawyer Martha Mushipe was adducing evidence from the bar.Judge Chitabo observed that it was submitted by Ms Mushipe that the Applicants were on hunger strike, and it was feared they might die. He said this position contradicts the affidavit evidence where it is alleged that the Applicants are being denied food.Judge Chitabo said contrary to the applicants allegations, a person can only be said to be on hunger strike if he has food which he voluntarily refuses to take. There’s 100%+1proof that they’re arsonists. The fact that tongas are there explains it all. Convict them and tell baroness that the sponsor whom she brokered for a release is the one behind the fires. More lies by PF……..just charge them if you have the evidence………you will find evidence like having a cigarette lighter as PF evidence of arson. No one will be arrested and charged because it was kapoyongo and PF behind the arson attacks…. PF do the sensible thing and iniciate a comprehensive fire safety policy…..the electrical wiring in Zambia is based on load shedding scenarios , most of it is unsafe for 24 hr supplies. 80 to 90 % of fires caused by unsafe practices the rest by kapoyongo and PF to nail UPND. You need policy to make smoke alarms and fire extingishers mandatory in all public places. An indigenous industry can be built around this…..now is the time to start planning. After leaving so many people without lively hood these thugs should not be left free until the case is disposed off. We want to know who sent them and giving them bail would expose them to elimination by their bosses. Wait until the PF police do that to you for not stopping at a stop sign or some other minor traffic offense. Then you will be singing another tune! Zambian law (in the absence of SOE) allows detention for only 48hrs. Then its either charge the suspect or release him. What if a person is detained without charge for more than 48hrs ? What if a person was picked up by police but now his family dont know where he is being kept ? His family asks the court for a Habeus Corpus (literally meaning the suspect must be brought for “viewing”) in front of the Judge and the police to explain where he is being kept and why he hasnt been charged ? Are you living in Zambia or in another country? Have you forgotten about the state of threatened emergency we are in? In the above scenario the suspects seem to have been charged and therefore its pointless for the Judge to order the State to produce the suspects and explain why they are being kept without charge. They have been charged for Arson but the confusion seems to be that the suspects dont know they have been charged ! Heck, something doesnt seem to add up here. true Mwape; the story is not making sense; earlier last week it was reported that all ten were released? The record of cases lost by Mushipe is worrisome.Let her go for a refresher course.I see a lot of potential in her.She can do better. i feel terribly bad to see her losing even simple cases. I wish they were put side by side with HH. Just give them the hebeas corpus you judge. They need to be tried and set free since i thing they are innocents. Games baba pa Zed. Ati fear that they might die in jail. what nonsense who cares if they die in jail. SOE only for a particular region.